Scientists may have to rethink their theories on the birth of stars after a team of French astronomers discovered a discrepancy in a theory that was believed to be a fundamental astronomical law. Astronomers have formed a widely-accepted theory on the birth of stars. Now, however, the results of a new study challenge some aspects of this theory. Astronomers investigate the birth of stars to unravel secrets about life and its meaning. This often gives us more understanding of the universe and physics as a whole. Over the course of the 20th century, scientists accumulated a developed understanding of the life cycle of stars and were able to describe the evolution process they go through from birth to death. What do we Know About the Death and Birth of Stars? A star dies by collapsing in on itself when its core can no longer sustain the nuclear fusion reactions within it or its hydrogen fuel runs out. Depending on its size, a star can die either with a bang or a whimper. If large enough, the shell of a star can explode in a violent supernova. In some other cases, a massive star can fail its supernova and metamorphose into a black hole with matter getting sucked in instead of blown up. After they exhaust their fuel, low-mass stars like our sun start expanding to give rise to a Red Giant. Later in life, these stars end up losing outer layers, leaving only the core which condenses into a White Dwarf. While astronomers chase cases of supernovae and star collapse for research, there have been several nova star explosions that are or were visible to the naked eye. Scientists know a lot about how stars take their final bow, perhaps even more than how they are born. People often forget that stars are still being born. Even today, there is a star beginning to be born somewhere in the Universe. The issue of finding these star births comes from the fact that the birth process of stars can take up to several millions of years, we just can’t follow its development. With stars death, however, even if it’s also a lengthy event, scientists can observe its after effects and glean data that help them understand the development of the process. The birth of stars is caused by the gravitational collapse of interstellar gas clouds composed mainly of hydrogen and helium. Based on the work of astrophysicist Edwin Salpeter in 1955, astronomers believed that the demography of baby stars was the same, regardless of the location of the star-forming cores in the galaxy. Until now, it was held as a physical law that the star-forming core population would be identical to that of its stellar offspring. Now, a team of astronomers, led by researchers from the French National Center for Scientific Research (CNRS), have found evidence that puts this long-held assumption into question. Thanks to the Atacama Large Millimetre/Submillimetre Array (ALMA, in Chile), the team was able to measure with “unprecedented precision” the amount of massive star-forming cores in a distant cloud in the Milky Way, called the W43-MM1 cloud. 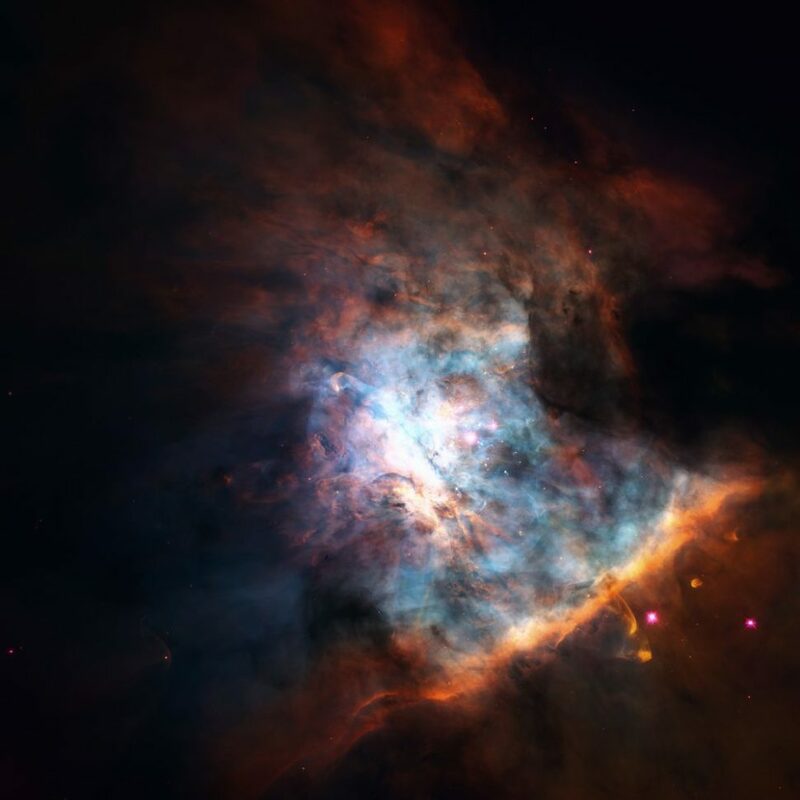 Researchers found clues that point to a discrepancy between the number of massive and less massive star-forming cores in the W43-MM1 cloud. The ramifications of this new evidence will be more drastic than simple edits to Salpeter’s 1955 Law. Scientists will have to go back and retest their theory on the formation of stars. Then, they will have to review all the calculations, such as the numbers of black holes and supernovae, that stem from it. As often occurs in astronomy, this small observation could have significant effects on our understanding of the birth of stars and, from this, our understanding of the Universe. What other implications will this new discovery have on astrophysics?